Share Chocolate Recipes to win Lindberg Pralines Box. Chocolates and flowers are the perfect gift for this special valentine's day week. This Valentine's Week how about preparing delectable chocolate recipes for your special ones? 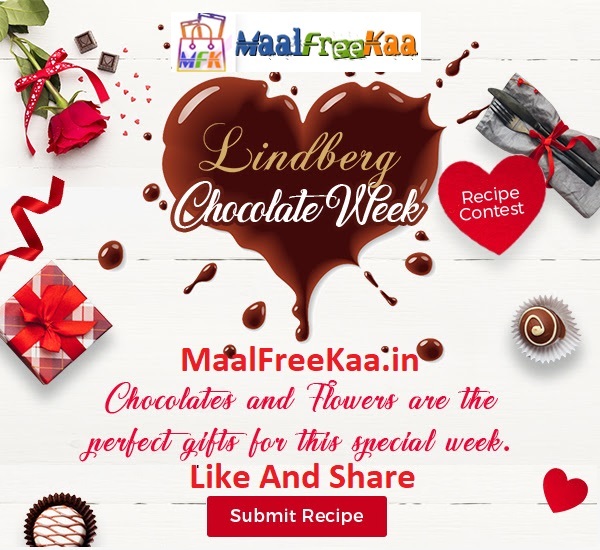 Share recipes of chocolate cake, cookies, milkshakes pancakes or ice cream and win a hear shaped lindberg 19pcs chocolate pralines box. Top 3 Lucky Winners to each win a heart-shaped lindberg 19pcs chocolate pralines box.